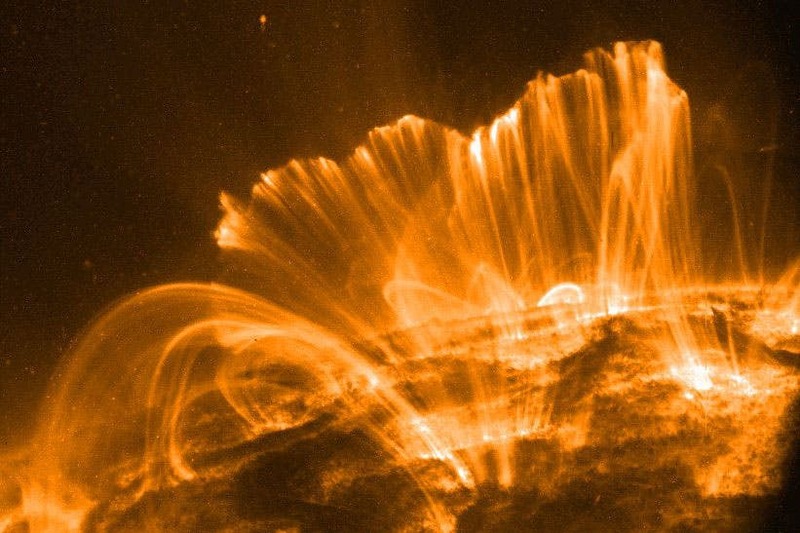 Despite their appearance solar tornadoes are not rotating after all, according to a European team of scientists. A new analysis of these gigantic structures, each one several times the size of the Earth, indicates that they may have been misnamed because scientists have so far only been able to observe them using 2-dimensional images. "They are associated with the legs of solar prominences – these are beautiful concentrations of cool plasma in the very hot solar corona that can easily be seen as pink structures during total solar eclipses," adds Labrosse. "Perhaps for once the reality is less complicated than what we see!" comments Dr Brigitte Schmieder, another scientist involved in the work. Solar tornadoes sound scary but in fact they normally have no noticeable consequences for us. However, when a tornado prominence erupts, it can cause what's known as space weather, potentially damaging power, satellite and communication networks on Earth."